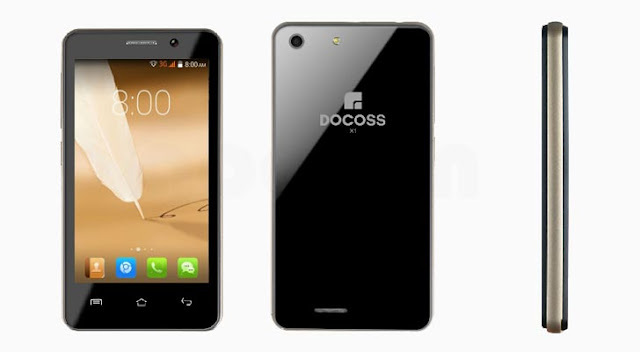 DOCOSS X1 another ultra low cost smartphone with 1GB Ram & 3G Support for Rs 888; How to Buy it? of this phone same as Freedom 251. Karbonn A5 used to have this processor back in 2012. VGA resolution. Thank god it comes with LED flash support. a 1300 mAh removable battery. means they are ready to ship. How to Buy DOCOSS X1? 1. Head to their website docoss.com and click on a Book Now Button. Rs 99 additional that’s makes the final Cost to Rs 987 as shown below. Docoss is also giving 1 Year Warranty on their cheapest phone while it always better to opt for COD to be Risk Free. We have successfully ordered it so all we have to do is to wait till then you can share your opinion in the comment section below.